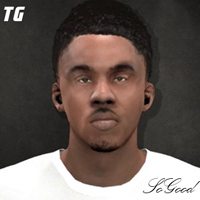 Abgobryu wrote: On PC, bodies are much more editable outside of 3D editing than they have ever been. Check this thread for reference: viewtopic.php?f=237&t=104167 Just keep in mind that modifying many of those entries won't generate any changes. Being more specific to what you asked, to change body length, shoulder width and arm length, the values you need to alter are after "spine2.ty", "right/leftArm.ty" and "right/leftHand.ty" respectively. And yes, I didn't mess up on arm/hand there. Additionally, one can modify neck length through the "head.ty" entry or just scale all these body parts together through "right/leftToeBase.ty". It's also possible to change how the jersey and accessories fit through the THIN/THICK values. As for the "CAP" entries at the bottom of most players' appearance files, none of them have any effect. @EnterTheV01d The last paragraph above should tell you what happened there. 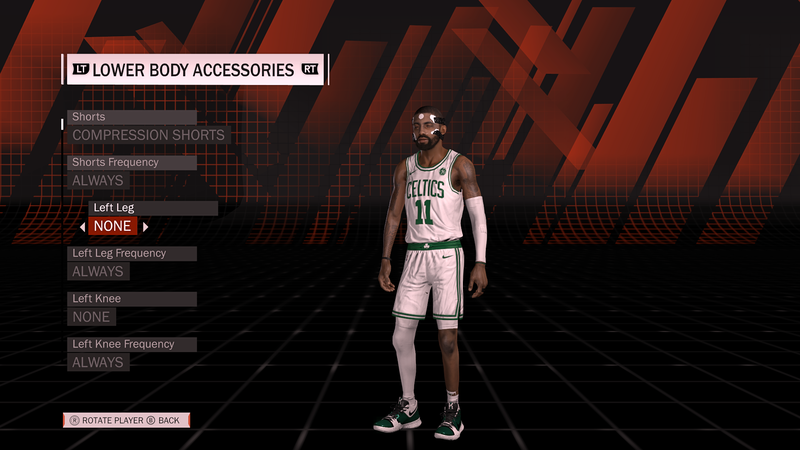 Basically, the player you used for your masked Kyrie Irving has the default body model. It doesn't matter if it was edited or not. Is there a way to change body types to default? I am still completely lost on this. I didn't play 2k17 at all so I've been away from the modding scene. What programs do I need to download in order to access these PNG files and where are they located in windows explorer? Can someone make a detailed step by step list of instructions? Lakerfan79 wrote: I am still completely lost on this. I didn't play 2k17 at all so I've been away from the modding scene. EnterTheV01d wrote: Is there a way to change body types to default? I don't think there is a way with the tools publicly available as of today. The game doesn't use the model's name, the .SCENE file or any other file inside the png to determine whether or not that model has the default body type. It reads that information directly off the model file. The custom appearance entries(mostly) look like no more than extractions from the model file, since most of them don't change the model even though their values differ from player to player. There is also many current players who have values that turn out to be the default ones for all entries that do affect the model but custom values for the ones that don't. As to how that information is stored and communicated to the game, I have no idea. Maybe greg would be able to find/offer details about that. If there is any way to make the game read a model as having the default body type, I assume it would be through a blender plugin. Thanks for the video it was really useful. I watched a few more and think I got the hang of this. I keep running into an issue. I open the png1612 for curry in explorer. I export it to the desktop and open it w/ 7zip. I open the appearance_info.RDAT file and edit for example spine2.ty which for curry is default at 14.2.... I change it to 100 just for testing purposes and click save. 7zip asks if i want to update the archive I say yes. I then go back to explorer right click the png1612 and select import archive which I do w/ the newly edited png1612.iff from my desktop. But, when I save and close out and go into the game there is no change. If i go back to explorer and reexport png1612 and open the Appearance_info.RDAT file the number is still 14.2. Ive tried this about 3 times w/ no luck. 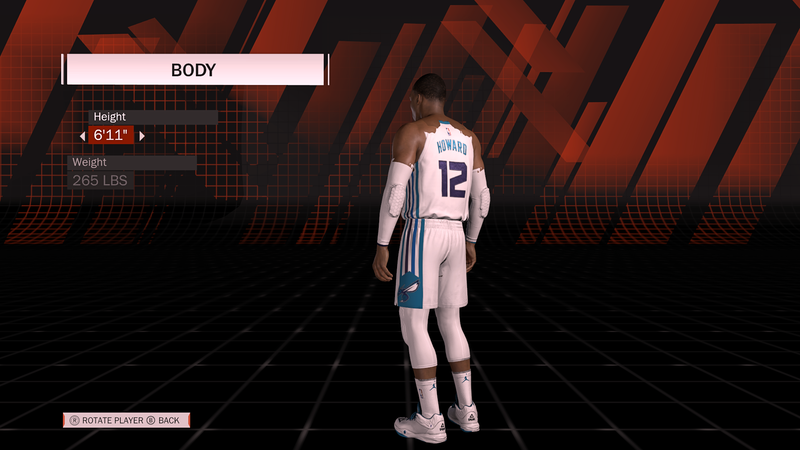 How do I change the jersey type for mycareer to retro shorts? Hello friends,my game crush when i try to edit value.Can someone explain me how to edit body lenght step by step,please?Thanks. Rainmaker_Pk wrote: Hello friends,my game crush when i try to edit value.Can someone explain me how to edit body lenght step by step,please?Thanks. I tried with Notepad++,and game stil crush.I don't know why?